Our goal is your 100% satisfaction, and we will gladly work with you to resolve any issues you may encounter. If you’re not completely happy with your CoachProxy device for any reason, contact us to return your device for a full refund (minus shipping cost) within the first 30 days of purchase. We require that returned devices to be in original condition. If you’re not completely happy with your CoachProxy Voice Integration purchase, contact us for a full refund within the first 30 days of purchase. Your Alexa Voice Integration activation will be removed from your account and will no longer function. Important note: From time to time, Amazon makes changes to their Alexa integration interface. So far we have always been able to adapt CoachProxy to keep Voice Integration working, but it is possible that a future change by Amazon may break CoachProxy’s Voice Integration feature. If this happens, and we can not restore the Voice Integration functionality, prorated refunds will be provided based on how long you have owned Voice Integration: less than 3 months = full refund; 3-6 months = 75% refund; 6-9 months = 50% refund; 9-12 months = 25% refund; over 12 months = no refund. 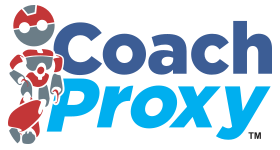 The CoachProxy Remote Access service is a subscription service charged on a monthly basis and can be canceled at any time. No refunds (whole or partial) will be issued for the remote access service.